since it’s summer, most of my sports viewing is of the tennis variety. like all televised sports, tennis suffers from a lack of nick-naming creativity. of the top of my head i can’t think of any interesting or funny tennis nickname. or any tennis nickname. 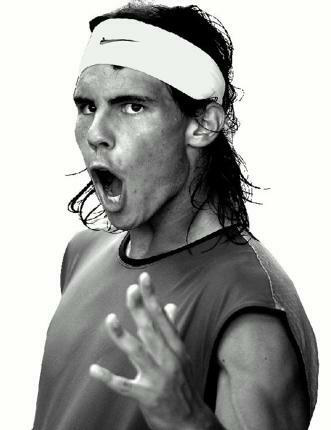 mcenroe calls gonzalez gonzo and everybody calls nadal rafa. but gonzo is a lazy nickname and rafa is just nadal’s first name. so i guess it’s up to us to come up with tennis nicknames. fight thinks we should call nadal danielson. there’s a pretty serious resemblance there and i’m not just talking about their headbands. i was thinking about calling roddick brody. it’s essentially a shortening of his last name while linking him with frat boys (since they’re always calling each other bro) since he maybe slept with paris hilton, wears a while baseball cap and drives a lexus.